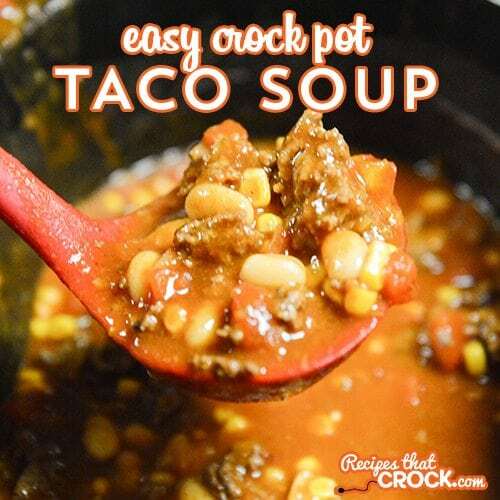 Easy Crock Pot Taco Soup - Recipes That Crock! 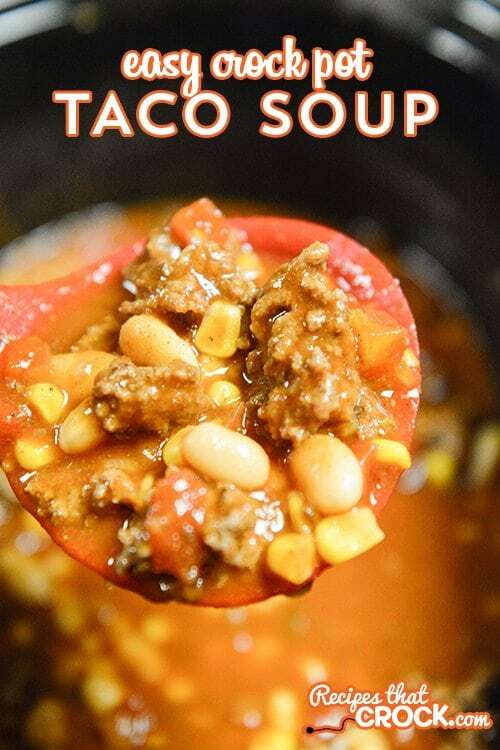 This Easy Crock Pot Taco Soup is so simple to throw together and delicious after a long day! Substitute your favorite beans for special flavor every time! Cris here. As I mentioned earlier, I very much enjoy the new cookbook from Gooseberry Patch — Christmas at Grandma’s (psst… you can enter to win a copy here) and this Easy Crock Pot Taco Soup is one of the many reasons. 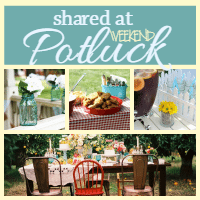 I just love a great recipe that is a snap to throw together… and, if leftovers go over well with the fam, even better. This recipe for Easy Crock Pot Taco Soup fits the bill on all accounts. Miss Add is a huge fan… which is a big win because it makes packing school lunch for the week super easy! (Ahem… this mama may or may not be known to rely on Lunchables during a rough week, so I am always grateful when a recipe can pull double duty around here 😉 ). I used my favorite browning slow cooker to crock up this recipe. It is a 6 quart model, but you could get away with using a 4 quart slow cooker pretty easily on this one. I used great northern beans in this recipe, but you could use any of your favorite beans. 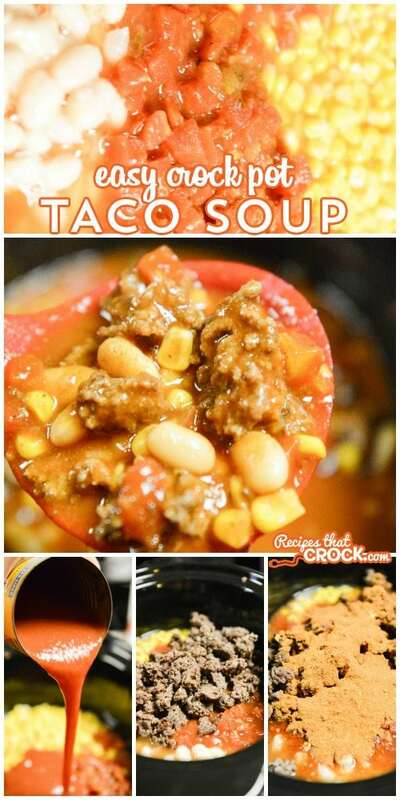 This Easy Crock Pot Taco Soup is delicious and easy! Add a package of dry Ranch dressing, just adds a little something extra! Oh Geraldine I’m so glad to hear it! Could I use minced garlic in place of the freeze dried? Totally. 1/4 tsp freeze dried equals about a clove minced. Enjoy!